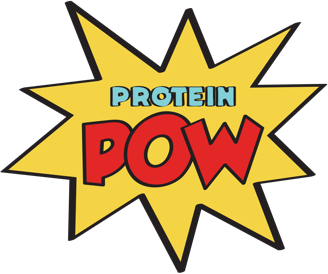 Tickets for the Brighton Protein Pow Workshop are sold OUT! A date, time, and place for the next Protein Pow Cooking Workshop has now been set! It’ll be a half-day protein powder cooking class and will take place on the 18th of August at the Brighton Cookery School. The day will begin with us enjoying some delicious coffee before embarking on a protein cooking journey unlike any other you’ve ever experienced! A complimentary (and exclusive) Protein Pow apron will also be provided to you on the day to gear you up to face the kitchen like a bona fide POW superhero. The apron will be yours to keep :-) You will also leave with lots of protein powder and related goodies! All protein powders and related ingredients will be provided on the day by Bulk Powders – the workshop’s main sponsor and one of my go-to resources for cooking ingredients, by Fage Total Greek Yogurt – creators of the world’s best Greek yogurt, Gaea – makers of extra virgin olive oil perfection, and Koko Dairy Free – whose milk I use in pretty much all my cooking! We’ll master the whey proteins, casein proteins, hemp proteins, pea proteins, egg white proteins, and all kinds of delicious ‘flours’ (oat flour, quinoa flour, coconut flour, etc) and nut butters (i.a. almond, cashew, and pistachio nut butters). We will also be using lots of delicious fresh fruits and vegetables – to include in our cakes and top our pizzas! Note: If you’d like to get on a list to find out about future workshops, please email me at proteinpowdr@gmail.com with the heading ‘WORKSHOPS’. Similarly, email me if you’d like to host one of my Protein Pow workshop and/or sponsor one!